Our company is specialized in many kind s of stationery and office equipment.And we have a senior quality control department,can provide you good quality products and a competitive price.If you're interested in our products,please feel free to contact us.More,Our factory integrates product design, printing and production to provide you with one-stop service. Fast delivery and quick response guaranteed! 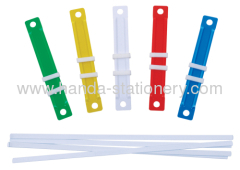 We are China paper fastener manufacturer offer best paper fastener OEM, ODM,service.